We all want that gorgeous, vibrant hair that has such an glossy shine. 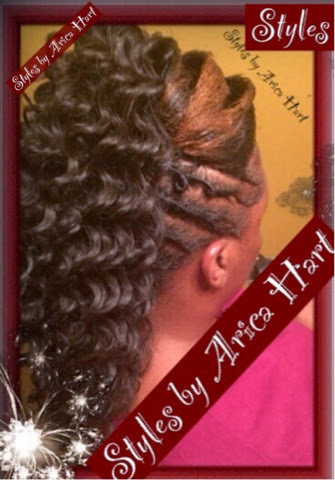 In order to do that, you must keep your tresses healthy. There are many elements to having beautiful, healthy hair. You know, That type of hair that seems to be vibrant and strong. That hair that doesn't shed into enormous clumps, falling onto your fancy threads. Some of those elements are proper nutrition, proper exercise, proper blood circulation & maintaining proper care of the hair in between salon visits. 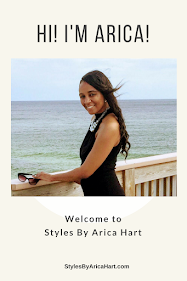 Today, I will be discussing the nutritional aspect of keeping your hair healthy and beautiful. You can look elegant; meanwhile, gracing the town with your beauty. You know the old saying, "you are what you eat." You don't want your hair to look like trash; therefore, cut back on eating so much junk. Feed your body and hair nutritious foods. I will discuss a few of the many vitamins that we need for for our hair; such as protein, biotin, & vitamin A. Protein helps to build healthy hair. A lack of protein may cause damage to your healthy locks, making the hair become weaker and your hair growth process slow down. "Pump up the protein," says registered dietician Dawn Jackson Blatner, author of The Flexitarian Diet. "Include a small dose at each meal and with each snack, and you'll keep your hair follicles strong." Some good sources are fish, poultry, beans, and nuts. Another good source of protein is eggs, which has biotin in it also. Biotin helps with hair growth . Nuts, Egg yolk, soybeans, & fish have a good source of biotin. They are packed with biotin , which helps grow the hair longer. It is a B-complex vitamin which can be absorbed through supplement or food form. It helps strengthen the hair shaft & hair follicle, which in turns decreases breakage of the hair. Livestrong stated, "Biotin is vital to cell proliferation, which is why it is a valuable tool in hair growth. When ingested, biotin reacts with cell enzymes and plays a vital part in producing amino acids, which are the building blocks of protein. Hair itself consists of keratin, which is a form of protein. 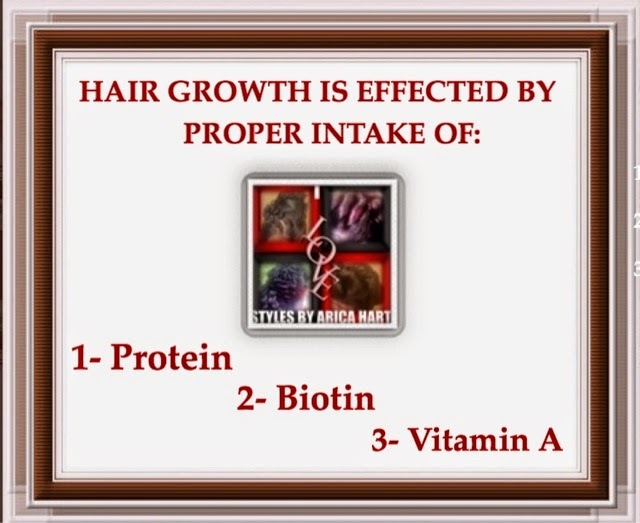 Therefore, consuming foods that contain biotin helps to contribute to hair growth." A lack of vitamin A can lead to dry, brittle hair, which contributes to hair loss. Eat foods packed with vitamin A to help protect the hair & skin from drying out. Vitamin A helps the scalp produce sebum, which keeps the hair & scalp hydrated . You can find plenty of great source of vitamin A in your kitchen; such as, Sweet potatoes , carrots, kale, asparagus, & many more. Eating right is our best source of vitamins & nutrients. There are also some hair vitamins on the market that you can try, but research them first. Of course, there is always a healthy balance to anything. You don't want to have to much; as well as, to little of the needed vitamins. There are some more vitamins and minerals that effect our hair growth as well. Hair loss can be affected by iodine levels. I will elaborate on some of the other vitamins on a later date.